This fascinating book looks at the history of the people, machines, facilities and operations that made Chicago the hub around which an entire continent's rail industry still revolves. Examine the sprawling legacy of nearly 180 years: how the railroad spurred the city's growth, spotlighting the city's railroad workers throughout history, the great interurban lines, fabulous passenger terminals, vast freight-processing facilities and complex modern operations. Includes historical and modern photographs and specially commissioned maps. 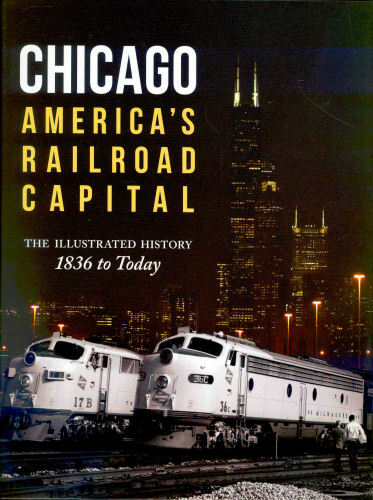 The author's hope this book will explain Chicago's railroads in ways never before achieved, and that the text and photos will further your understanding of America's Greatest Railroad City. Hard cover.